Here’s a great, simple recipe for a homemade antiseptic. When we get scrapes or small cuts, we often reach immediately for the alcohol or hydrogen peroxide, but this all natural ointment does even better by attacking any infectious bacteria but also soothing the wound and eradicating the source of infection. 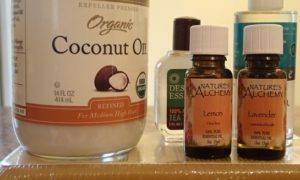 There are so many of these homemade treatments that have been lost over time as we became a society hooked on the pharmaceutical industry and antibiotics. This is one of those skills you can pick up if you attend the Heritage Life Skills each April in Waynesville hosted by our friends at Carolina Readiness Supply. If you’ve never attended HLS, I highly encourage you to try it out. Its three days of over 60 classes teaching us the skills our great grandparents grew up using every day to survive. Back then prepping wasn’t something you did to get ready for societal collapse, but rather something you did every day just to survive to the next day. We can learn a lot from our forefathers and mothers. So check out this homemade antiseptic recipe that was sent in by the owner of this incredible survival home located near Franklin, NC which is available for sale..